We own an old car. I won't bore you with details about make and model and year, but I will say that while there certainly are older cars on the road, ours is getting up there. I'll call it a seasoned vehicle. This past weekend I took a road trip to visit a dear friend. For three hours, it just was me, my thoughts, and the open road. 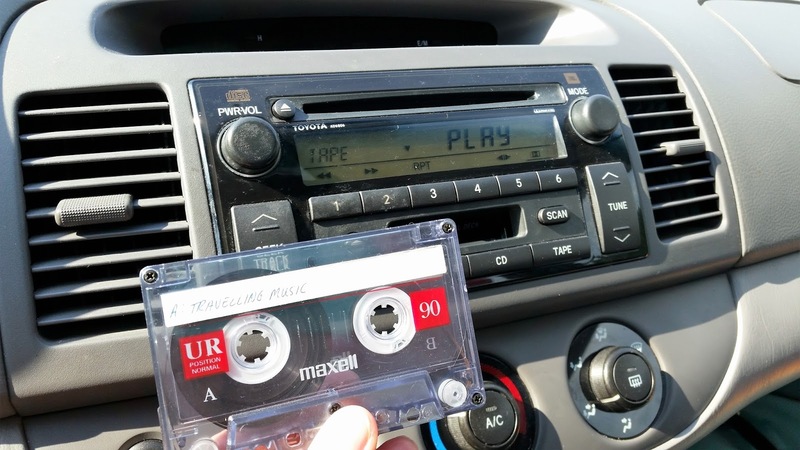 And -- because of the age of my vehicle -- there also was a small trove of ancient cassette tapes that I've held onto for rare moments like this, moments when a little reminder of life at age 18, like one mixed tape aptly titled Traveling Music (circa 1996), hits the spot. Yes, there are still some perks of owning an old car. I am jealous! The road trip, the mix tape, the moment to feel young and free again. Music is magic isn't it? You're right! It *is* magical!